The life of a Jesuit Regent can be pretty marvellous, even a little unhinged. Especially summers, when any pretence to maintaining a "regular" life fails completely. All that remains is living in the here-and-now, or in the "sacrament of the present moment", as de Caussade puts it. 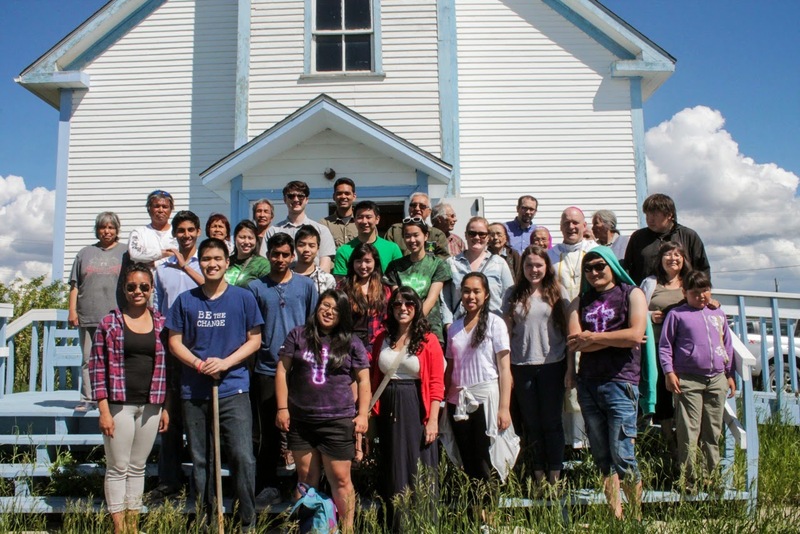 I recently described a two-week service trip to the Northwest Territories (NWT) with a group from my college. It was a tremendous experience in every way: we travelled far, we served in distant communities, prayed a lot together, and shared both joy and hardship. We came limping back, but with hearts full and alive. 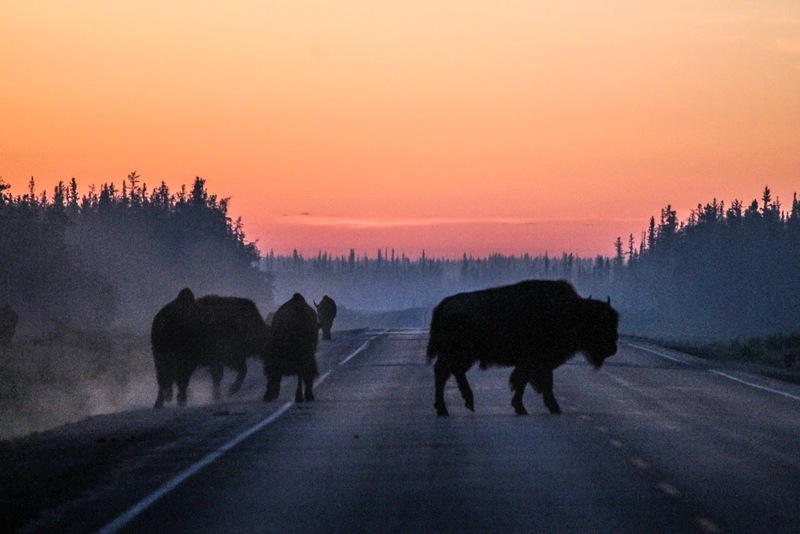 NWT is the mosquito and horse-fly capital of the world this time of year, and the near-constant sun also means that the land bakes, and reflects its heat to the inhabitants who walk its surface. This was no pleasure cruise, no “service tourism”. Many of us came home swollen and bug-bitten, and, I might add, exhausted and a little retina-burnt. Never has the darkness of night been so welcome. At the same time, I think it may just have been the best mission trip I’ve been on. Yes, the sheer grace. We planned as best we could, but in the end, we had to enter into a different kind of time, that mysterious intertwining of God’s time – “Kairos” – and the ways of the north, which do not suffer rigid Anglo-Saxon timetables gladly. So we exercised availability, flexibility and trust, and did things we never planned. Like travelling on motorboats for five hours on the Mackenzie River, to the remote Dene community of Jean Marie, which was hosting an annual assembly of the regional leaders. 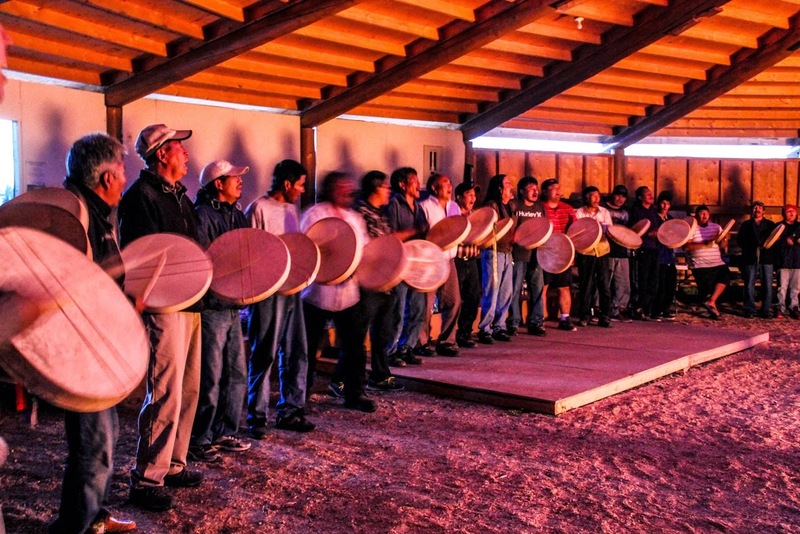 We did the drum dance around the fire with our First Nations brothers and sisters, and with them, made offerings of tobacco to the Creator, with signs of the cross and genuflection. We prepared food in the cookhouse with the local women, and served it, and let the children accompany us all over the village, as it their wont. We attended a talent show, and baked bannock. We nourished ourselves daily from the Word of God and the Table of the Lord so that our interest in being here would be from more than just curiosity. We withdrew in the evenings and practiced lectio divina, and shared our experiences of the day. It was communal, it was Christian. Back in Vancouver we returned to perfect weather and sushi. Tomorrow I leave for another trip, this time a pilgrimage in northern British Columbia. It’s a two-day drive, and we are around fifteen persons. This, too, is a forum to encounter First Nations people, and again, we’ll offer our hands in friendship. It is the humble figure of Rose Prince who will be the pole that draws us together. She is quietly spending her heaven doing good on earth. There we will continue to learn to love one another as brothers and sisters, our micro experience to reflect the master-plan of God’s koinonia. Yes, it’s intense. But I wouldn’t trade the life of Jesuit Regent right now for the kingdoms of the world.